Many years ago before trail cameras and protein I was on the hunt for my first 160. 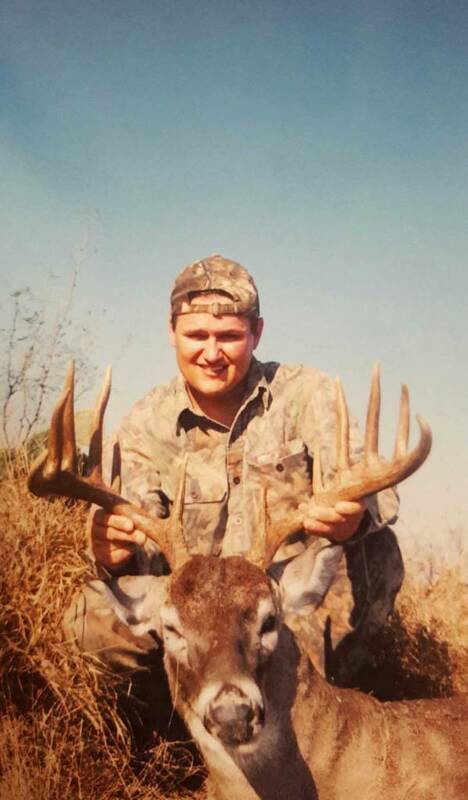 Having spent several years in Carrizo Springs and only shooting culls and a couple of mature 140s I was infatuated with the thought of hunting old Mexico, big county, little pressure in the form of few lease mates and huge native whitetails. I was fortunate enough back then to run into a gentleman by the name of Randy Brandt ( he's a member here)... a true lover himself of Mexico. He would go on to show me the ropes and in's and out's of what Mexico hunting was all about, and I ended up hunting with him for several years to come. To this day I consider him a true friend. This particular ranch we were on wasn't big at all compared to most Mexico ranches. I believe it was around 2400 acres but with only 3 of us hunting it was plenty, and a little piece of paradise. Amazing LF deer, quail, doves and lakes full of ducks. I shot my arm off to say the least, and counted everyday I spent on that ranch a blessing. Anyway on to the hunt, back then we had no cameras so every hunt was like Christmas morning! You just never knew! An older gentleman who hunted with us ( he said he was hunting, he just wanted to get out of the house and shoot s few doves and quail) happened one morning to be driving back to camp when he noticed a nice 6x6 in a particular area locked down with a doe. He came back to camp telling us l what he saw, and we all told him to go shoot that sucker. Back then we had no management plan, only rule really was at least get them to 5. He declined , as I knew he would. Killing deer just wasn't his thing. He pulled me aside that evening explaining he thought the deer would make 160 and I should hunt for him. So the plan was set, there was an old tripod in the area laying down and I set it back up, threw some tarp around it and corned the 3 way I was on and settled in. There were a few does out early but all in all if was a very uneventful hunt until about 30 min before dark. To my right I saw a huge 9 that we had in the area bust out on a doe, and that 6x6 was right on his tail. They were both dogging her pretty hard, zooming in and our of the brush. They finally made a run towards the middle Sendero wide open so I set up that direction. As the 3 hit the Sendero running I was thinking it wasn't going to happen. They had other ideas, but for some reason the doe and 9 zoomed across and the 6x6 stopped in his tracks to look at this new object in his area. I had ranged several bushes before I settled in and had guessed him to be around 250 yards. I let my .270 bark and the 130 grain was on it's way. I could tell it was a solid hit, but he hunched and eased off . After contacting Randy we eased down the Sendero, found a few drops of blood( at 350 yards not 250 ugh) but night was upon us, we backed out and waited until morning. Up and at em early I crept down the Sendero to where the blood started, and happen to see a lone Caracara flying straight to me. I knew his eyes were better than mine so I just stopped and watched. Sure enough about 40 yards in front of me he lit on a dead mesquite looking down. I knew my buck would be laying under him and he was. Unfortunately we had to leave that morning so our celebration wasn't what It was supposed to be , but if I remember correctly we still had a little toast. He ended up scoring a touch over 161. It's a hunt I'll never forget, spent with good friends.. thanks for riding along ..
Last edited by Mexico; 10-02-2018 at 11:51 AM. Awesome deer!! Thanks for sharing. At some point in the future I want to hunt Mexico. I've just always had it in my mind but never got serious. It's gonna happen though!! Cool deer and nice write up. Sometimes I wish I didn't have cameras up so that every hunt would be a surprise. I liked the read, and impressive deer. It gets in your blood!!! Its hard to explain unless you experience it! That’s an awesome story. I may have missed it, but when was this? Sorry don't think I mentioned that, it was 2003 if my memory serves me right. Great write up! Can't wait to be South of The Border come December. 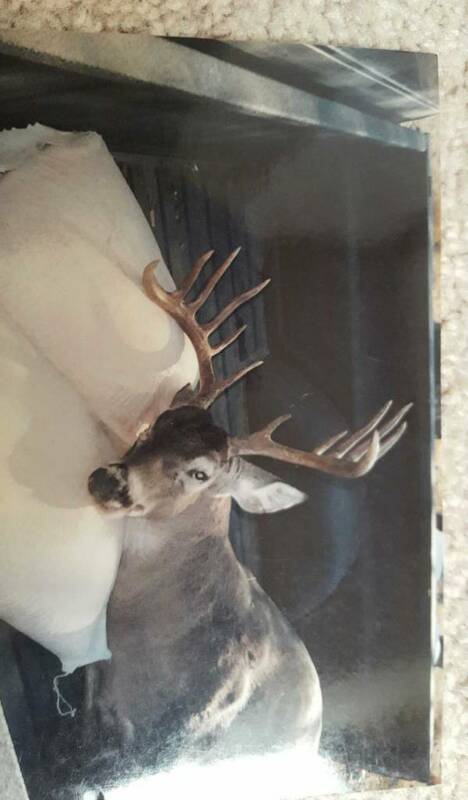 great buck and great story! Great buck, hunting muleys out west is a lot like that for me. No cameras, no feed, just hunting. The nostalgia of a 135+ year old ranch and never knowing what you'll see is what's addicting....a **** adventure much like Mexico! Great story - that is what hunting down south is all about. Thanks for a great story about a great deer. I hunted Mexico for many years in places where deer did not even know what corn was until a few weeks after getting on the ranch. Though there are plenty of fine bucks in Texas, there is something magical about being down there even though it often is stressful these last few years. Every hunter owes it to himself and his memories to try it. Agree, try it at least once! Great buck! What part of Mexico do you hunt? I've been all over. This particular ranch was in Paras, Nuevo Leon. I'm now in Tamulipas and Coahuila. Enjoyed the story. Nice buck. Got my first 160 in Mexico too. Been hunting down there for a while. There's something special about being south of the border! Yes Sir, that is a mighty fine buck! I love the old pictures. Cool story and buck. I enjoyed the read. Great write up and buck. Those big bodies will definitely fool you on distance. Looking forward to another great season. Good luck!